CardMonkey's Paper Jungle: Madison's IFTL Gift for Little Marley: "I Feel The Love"
Madison's IFTL Gift for Little Marley: "I Feel The Love"
One of the truly beautiful things that has come about by being part of this Blogger community is having the ability to meet people with both talent and compassion to want to share their work. ﻿ One such lovely young lady I've come to meet is Madison Womack, whose blog is http://www.funkycards.blogspot.com/. Madison is wise and compassionate beyond her years! ﻿This weekend, Madison invited me to be a part of her "I Feel The Love Project" (IFTL). 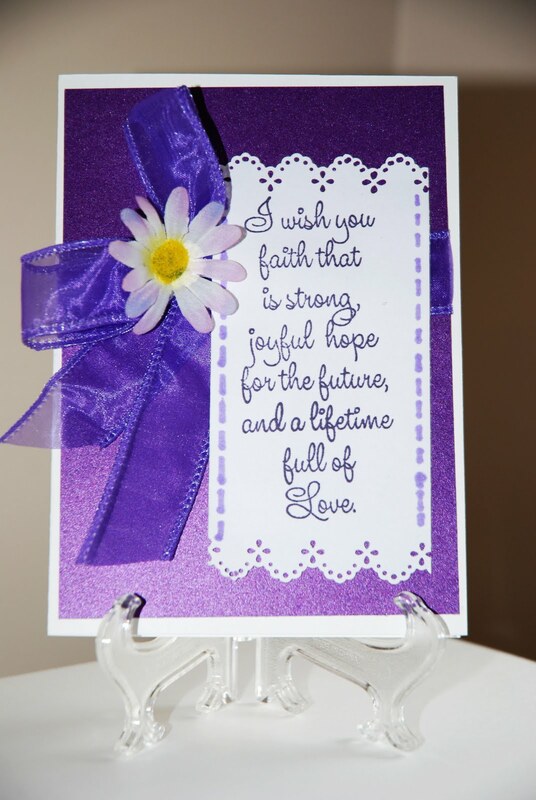 Madison coordinates groups of crafters to produce cards for families and/or their children who are enduring a health crisis, where they could use a little handmade pick-me-up. ﻿﻿﻿﻿﻿﻿﻿For more information, please go to Madison's blogsite (listed above) and click on her IFTL blog button once there. 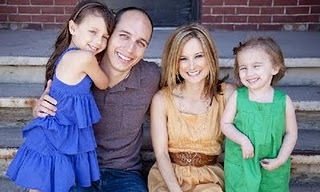 For the current IFTL project, cards will be sent to the adorable Marley Moore (left), age 3. For the past two years, Marley has been battling a brain tumor (pilocytic astrocytoma), for which she has had surgery, chemotherapy and radiation. An MRI just last week showed that the tumor had grown 10% compared to the previous study -- yet the family remains hopeful that their little girl will soon turn the corner, and her health will be restored. As a Mom and Grandmom, I can't imagine the pain of watching your baby suffer through treatments and the effects of the disease ... as well as the strain it puts on the family. ﻿﻿﻿﻿﻿ Only unabating faith sees you through; no doubt, Marley is surrounded by the love of her immediate family, and is bathed in the prayers of the thousands whose have been touched by her innocent smile. 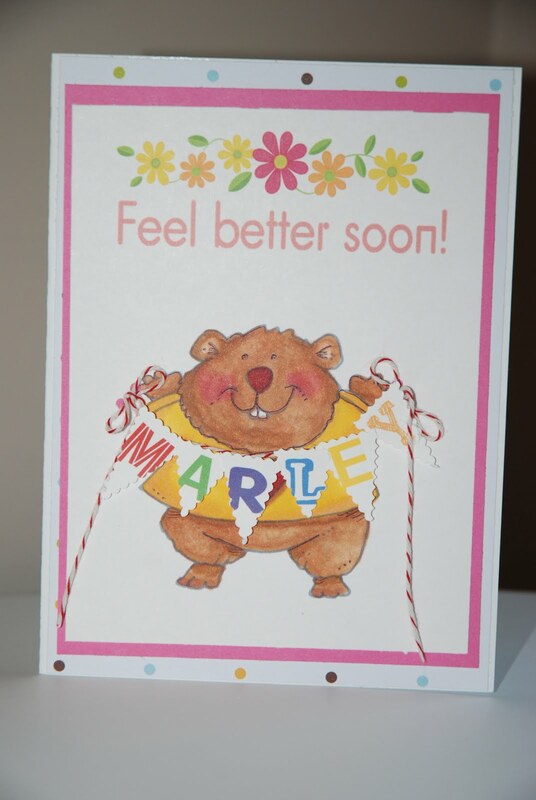 From Marley's Caring Bridge Journal Entry: "Marley is a little angel. 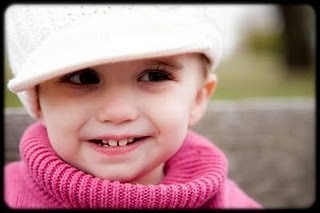 She is a beautiful, strong, little girl, and she's well on her way to fighting through this. We believe in a mighty God...one that is with her every step of the way." Please write #2 on the lower left/front of the card envelope; also, post a picture of the card on Madison's blog, by following the link above and clicking on the blue Mr. Linky. OMG! This is amazing. Your cards are beautiful and your post is fabulous!! Thank you so much:) You really made me happy with everything you had to say. You really ROCK!!! Thanks again. You are a winner!!! Your cards are amazing! And what kind words to share!!! This is wonderful. As a mom of one of those children who spends a lot of time in the hospital, know your cards and thoughts will be welcomed. You are so sweet to do this and I pray you are blessed richly for your generous heart.